Nothing can change the overall look of your kitchen like a cast iron sink – and FaucetDepot.com stocks a huge selection of beautiful cast iron sinks in a wide array of styles, colors, and models to make finding the perfect cast iron sink easy, fast, and convenient. 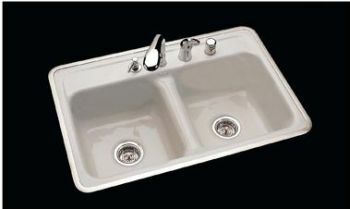 Here at FaucetDepot.com you will find the most popular cast iron sink selections, including undermount models and more, from plumbing industry leaders like Ceco and Kohler that provide proven performance and outstanding durability that you can count on. Remodeling can take thousands of dollars out of your budget – but by simply installing a cast iron sink from FaucetDepot.com, you can turn the entire look of your kitchen around without spending a lot of money. 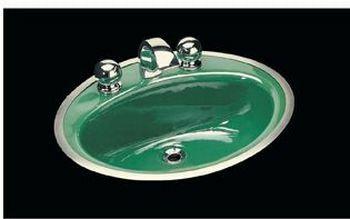 Because FaucetDepot.com stocks only the longest lasting plumbing products, you can be certain that by purchasing your cast iron sink with us that you will receive a product that will stand up to the rigors of use and the tests of time.